Picture the Eastern end of Long Island NY - the North Fork (wineries) and the South Fork (Hamptons, Montauk)- as an open lobster claw. 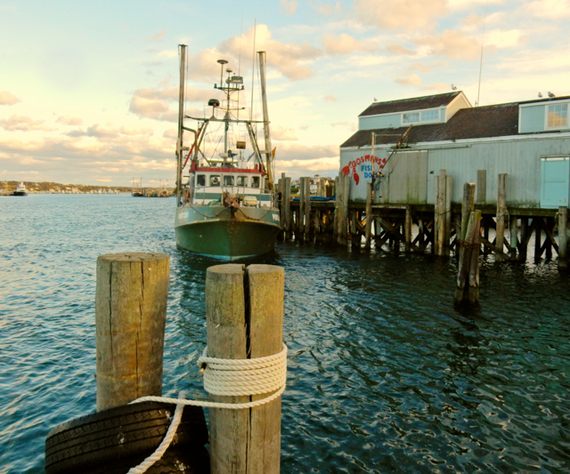 Shelter Island would be the fish in between, nearly, but not quite, in the lobster's grasp. 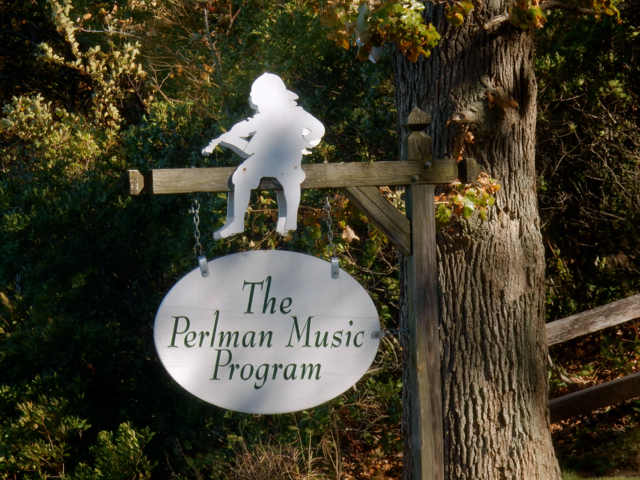 Accessible only via 10-minute car ferries from either Sag Harbor or Greenport, Shelter Island in Peconic Bay is, in effect, a getaway from a getaway. Obscure and removed, the island (for the most part) doesn't swagger. There are no nattily dressed 40-somethings clinking wine glasses on a Shelter Island beach in glossy magazine photos. If you're hoping to bump into a celebrity, look elsewhere - say, the Hampton's. Meanwhile, Montauk NY sits at the extreme East End of Long Island, jutting into the Atlantic Ocean. 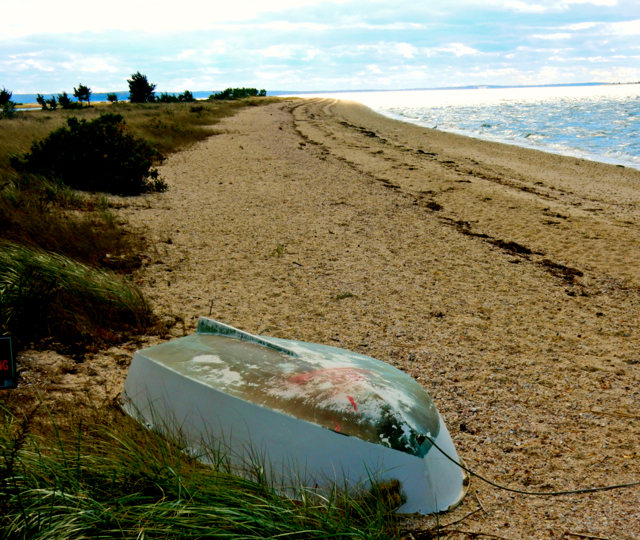 Walk west toward Manhattan (118 miles away) along its wide, sandy beach and you'll get to the swankier East Hampton border. 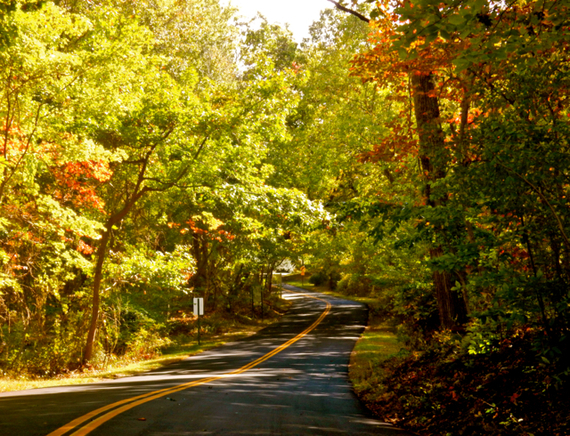 It takes about 30 minutes to get from Sag Harbor, where the Shelter Island South Ferry drops you off, to the middle of Montauk - an end-of-land burg rooted in hard work, commercial fishing, independence, resilience, and extreme beauty. Lately, Party Animals have discovered its beaches - the same soft sand that caresses the feet of Hamptonites - leading to heated discussions among locals about the cost of this frenzied popularity. But come to Shelter Island and Montauk off-season (May, June, September, October) and you'll avoid all the crowds and controversy. Most hotels and many restaurants and attractions are still open (some all year long). The following simple pleasures are just a start. (And don't forget, for more information on each of these destinations, as well as other "Offbeat Escapes in the Northeast" consult the GetawayMavens.com). 1. Plan a few hours at the Mashomack Preserve. 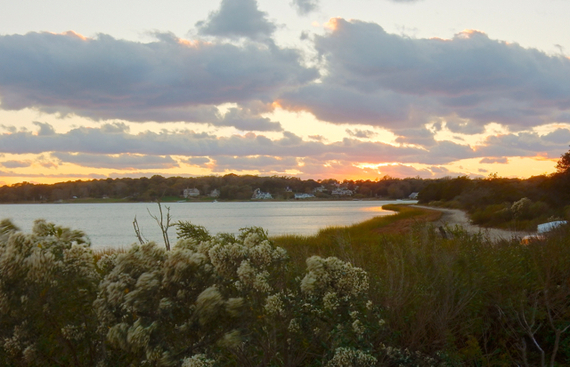 Taking up a nearly a third of Shelter Island, this 2,029-acre Nature Conservancy wildlife refuge is one of the best run and locally treasured preserves in the region. 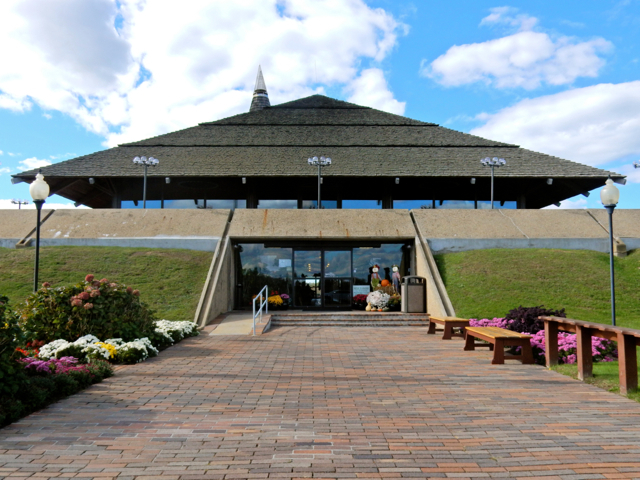 Though busiest in the summer season, there are programs here throughout the year. 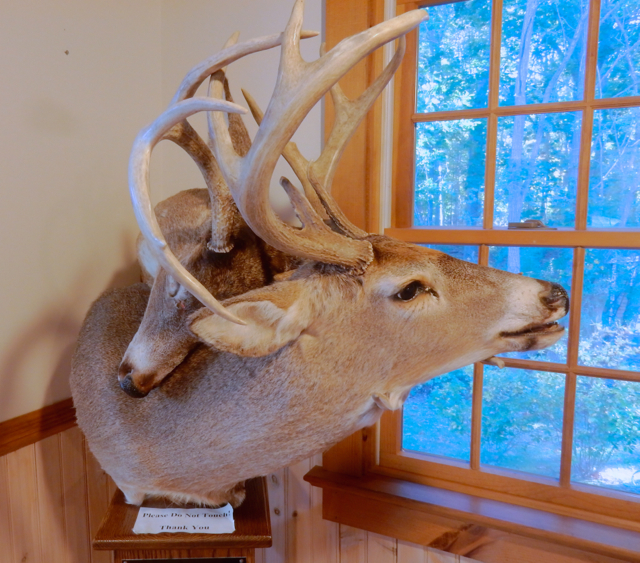 Aside from an interactive Visitor's Center, with well-done "please touch" exhibits that highlight forest, meadow, freshwater wetlands, salt marsh and shoreline habitats, and a slightly macabre deer duo who died locked in horns, there are five well-marked trails of various lengths from one to ten miles. With 12 miles of shoreline, 45 small ponds and 7 salt marshes, there's a lot to see here - and each trail has its own unique aspects. 2. Pick up some "mermaid's toes" at the Stern Preserve at Reel Point. You'll be in shell nirvana at this 8-acre preserve on Big Ram Island. 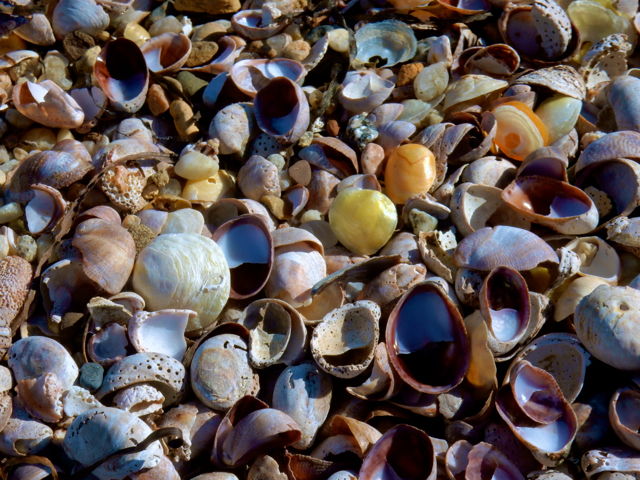 This crunchy, sharp-edged beach is the perfect place to find a high concentration of a variety of beautiful shells. 3. Bring your bike and enjoy peddling the sun-dappled roads on this mostly residential 27 square mile island. In season, beaches are full, parking is tough to find and bicycles make the most sense. Off-season - it's just beautiful. 4. In summer, catch a "works in progress" concert, presented by teenage music prodigies, at the (Yitzhak) Perlman Music Camp. 5. 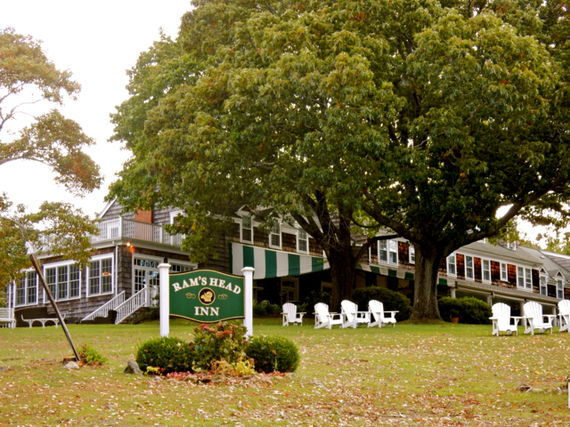 Stay at Ram's Head Inn - a classic Shelter Island resort built in 1929, and consistently maintained. On a bulb of land separated from the rest of Shelter Island by a couple of narrow causeways, the rambling hilltop Ram's Head Inn is perfect for those who yearn for a lost-in-time shore experience (read: no TV's). The in-house restaurant is one of the best on Shelter Island, with views overlooking the property and water beyond. The lawn, peppered with white Adirondack chairs slopes down to a tiny cove beach from which you can kayak and swim in calm warm water. There's a gazebo, a bocce court, corn-hole boards and tennis courts as well: everything you'd need for a relaxing few days away from civilization. 6. 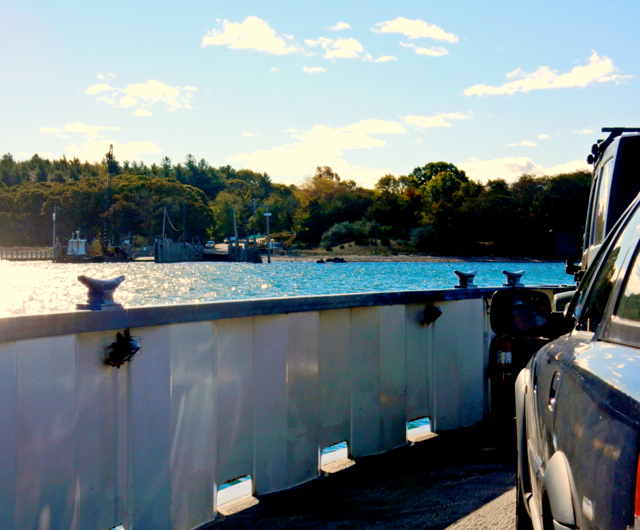 Take the 10-minute ride on the South Ferry to Sag Harbor - $14 for car and driver each way. 7. 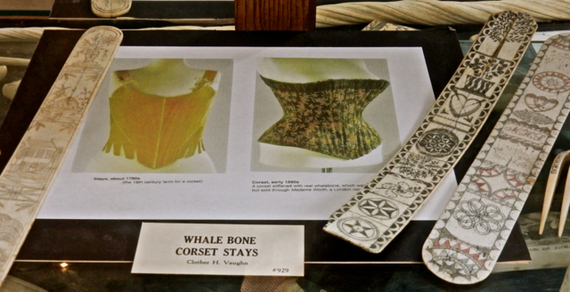 Check out the scrimshaw and finely decorated whalebone corset stays at the Sag Harbor Whaling Museum, set inside a Greek-Temple style mansion designed by 1800's starchitect, Minard Lafever. On the Peconic Bay side of the South Fork, Sag Harbor was safe haven for whaling ships coming in from the often-dangerous Atlantic Ocean, and the diversity of the crews (Blacks, Whites, Native Americans) led to a diverse Sag Harbor population that continues to today. 8. Drive or bike six miles from town, out to the easternmost point of Long Island to the Montauk Lighthouse, commissioned by no other than George Washington himself and completed in 1797. 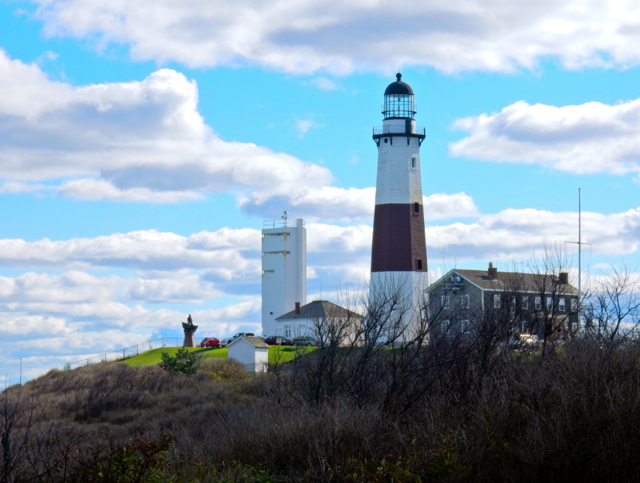 Situated in Montauk Point State Park, the lighthouse is not the only reason to make the trek. Even if you don't intend to climb to the tower with 360-degree views of Block Island Sound and the Atlantic Ocean, do walk the beaches and step onto the viewing platform in back of a Visitors Center that encompasses a café and gift shop. 9. Play 18-holes at Montauk Downs State Park - a Robert Trent Jones golf course considered one of the Top 50 Golf Courses in America. Managed by the State Park system, green fees are low (tops out at $96 high season weekends for non-residents, $46 for residents) and the property is stunning. 10. 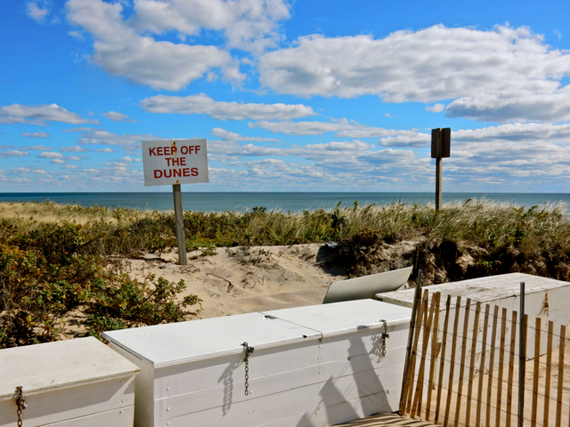 Ditch the crowds and find a private patch of oceanfront at Hither Hills State Park. Also a popular campground (RV's included) Hither Hills SP beach is pristine and as gorgeous as those in downtown Montauk - but without the sandy hordes. 11. 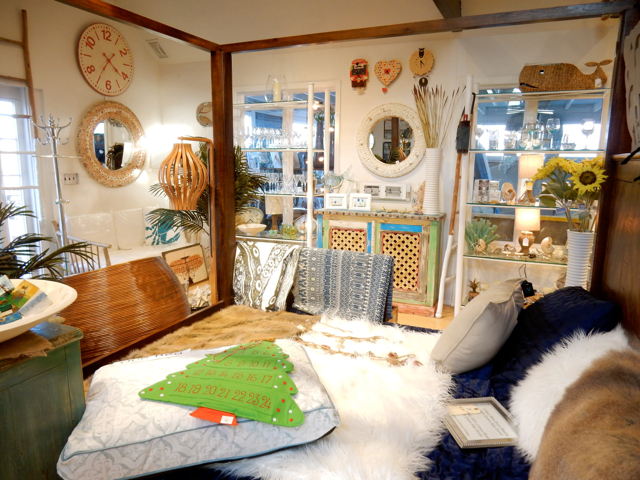 Shop high to lowbrow at designer Cynthia Rowley's shop, Homeport, and Montauk Corner Store - a family owned variety store that's a little bit souvenir shop, a little bit pharmacy. 12. 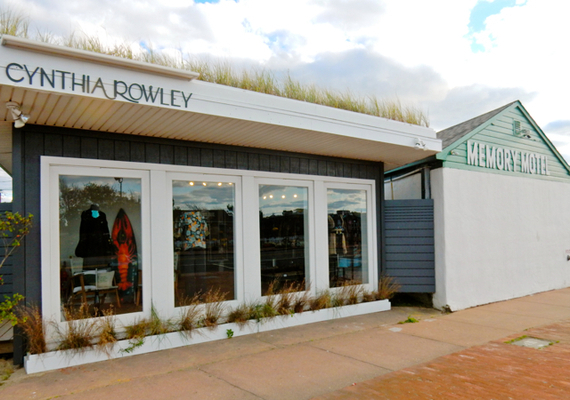 Speaking of Cynthia Rowley's shop - it happens to be adjacent to the Memory Motel - yes, THAT Memory Motel - memorialized in the Rolling Stone's song of the same name, written by Jagger/Richards after staying in Montauk before the Tour of America '75. "She's got a mind of her own, and she uses it well. Yeah. Yeah." 13. Catch an unparalleled sunset while listening to the crashing or lapping of waves on an Atlantic Ocean beach. It's the most heartwarming joys of Montauk and costs absolutely nothing. 14. Eat divey-old-school with updated menus. Both The Shagwong Tavern and The Dock Restaurant have been satisfying locals and adventurous tourists for decades. 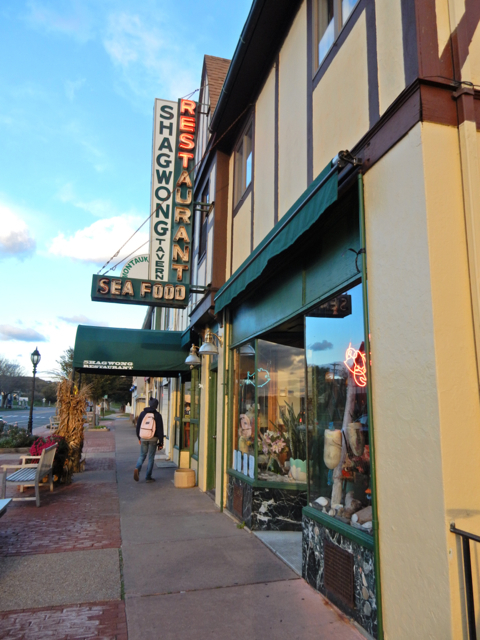 The Shagwong just transferred ownership, redid its interior and modified its menu to reflect changing diets (keeping favorite dishes for loyal patrons), and the result is a positive dining experience from plate to service. The Dock - down by the commercial fishing docks near Gosman's Fish Market - with its irreverent signage and eclectic paraphernalia - still satisfies with good grub, drink, and possibly seafaring stories. 15. Stay in an adorable, eclectically decorated cottage shaded by Japanese Cherry trees and other plantings, just three blocks from the beach. 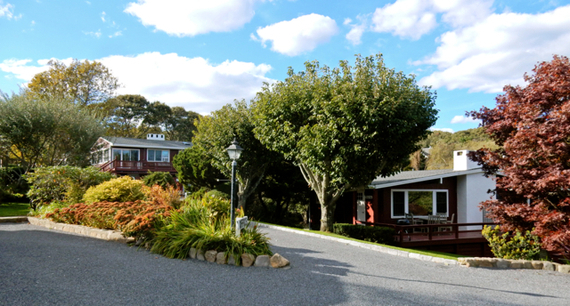 Hither House Cottages eschews "scenesters" in favor of families, people with dogs (yes, pet friendly), and others seeking peace and serenity. Each of nine cottage units on stunning property with gazebo features a kitchen, teak chaise lounges, outdoor showers, dedicated parking spots, and all the modern comforts of home - TVs with HBO and fast wi-fi included. Hither House has its own beach (parking pass provided with room) a five-minute walk away. Best of all, this upscale (though not ultra-lux) lodging is fairly priced. Cottage units from $105 off-season to $365 on weekends in prime season, includes parking, beach pass, wi-fi.